Explore the potential of paper cutting, folding and construction techniques to create your own unique sculptural forms with paper artists Andy Singleton. With demonstrations and one-to-one help from the artist, learn the basic techniques of paper manipulation, including pattern cutting, wet folding, pleating and modular form-making. An experimental approach to the material is encouraged, which will allow beginners and experienced folders alike to explore the creative potential of sculpted paper. I recently created these images for Brussel Airlines inflight magazine. 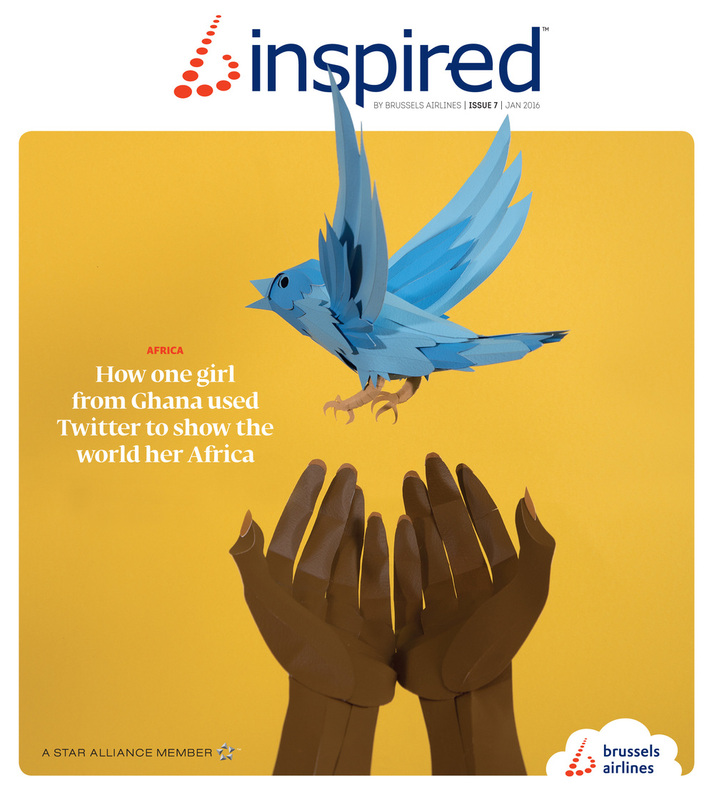 The editorial work was used to illustrate an interesting story about a girl using the the power of twitter to communicate a positive message about a continent so often presented in a negative way. I have been invited to show work at the CODA Paper Art Exhibition in Apeldoorn, the Netherlands. I will be showing a new installation piece along side a number of smaller installation and cased works. I will continue to update my progress on the new installation piece as the approaches. I will be exhibiting Galaxy Cluster from 2013 as well as a number of other pieces. We made it! Our Kickstarter project reached its funding goal and now we are preparing for the exhibition. The show opens on the 17th of April in Brooklyn, NY at Hawkeye Crates. This is a pop up show and runs until the 19th of April. So thats 3 beautiful nights! Hope you can make it. 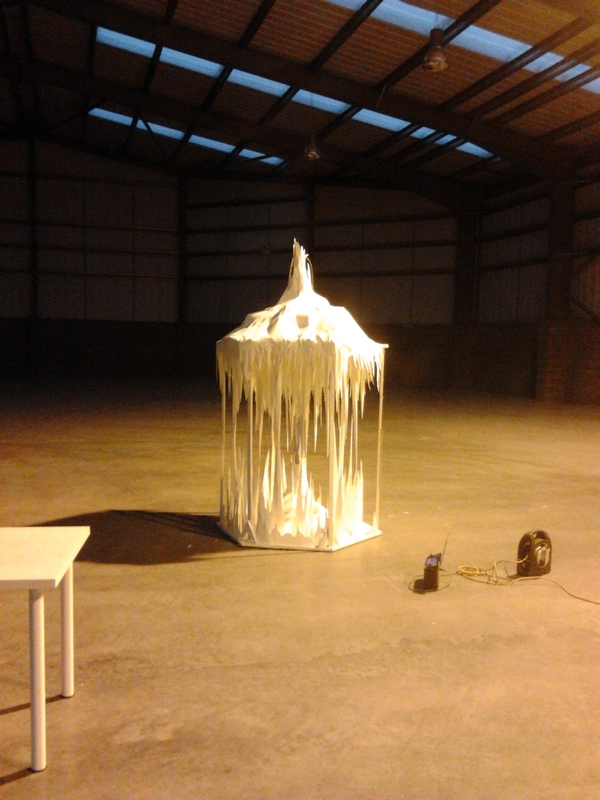 Myself and fellow Wakefield atists, Richard Sweeney (paper sculpture) and Richard Wheater (performance and neon) have been given a chance to show a new body of work based around the human form. The piece will comprise of large scale installation works and a series of small works. We have launched a kickstarter campaign to raise the funds needed to realise the exhibition. Please check out the project here and help us raise the necessary funds. For those who pledge there are a range of rewards including screen printed and original artworks. 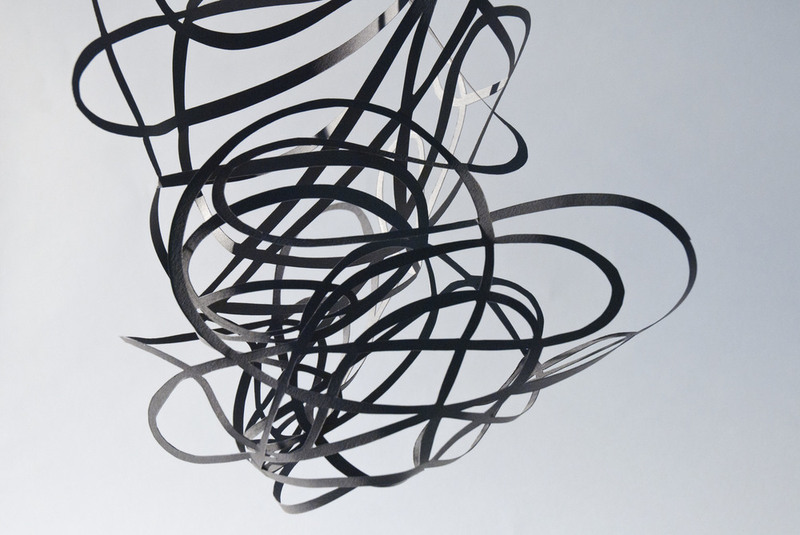 About the course: Explore the potential of paper cutting, folding and construction techniques to create your own unique sculptural forms with paper artists Andy Singleton. With demonstrations and one-to-one help from the artist, learn the basic techniques of paper manipulation, including pattern creation and cutting, scoring and folding techniques and construction of 3D images. An experimental approach to the material is encouraged, which will allow beginners and experienced folders alike to explore the creative potential of sculpted paper. Ticket price: £50 per person. A 20% Discount available for students with valid ID. Location: Westgate Studios, Wakefield, West Yorkshire. 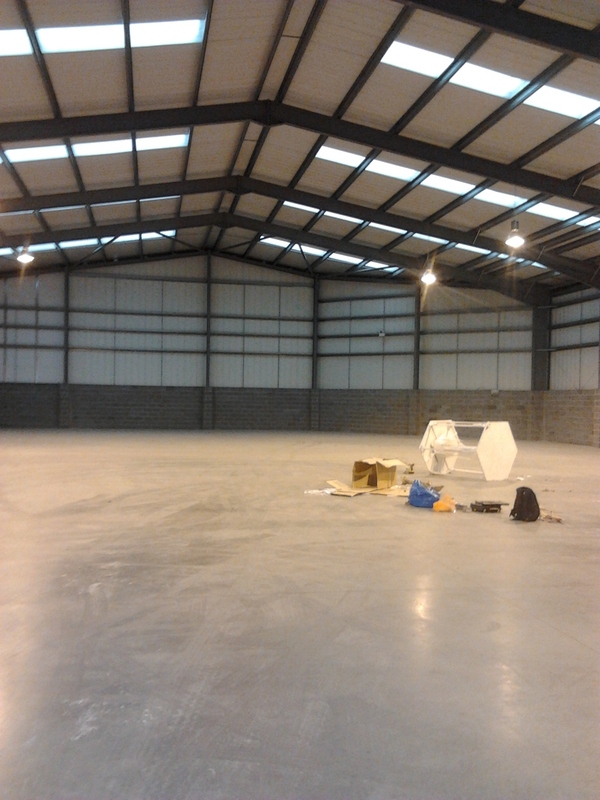 The studios are located on Westage, a 3 minute walk form the Wakefield Westgate Station. All day parking is also available near the studios. 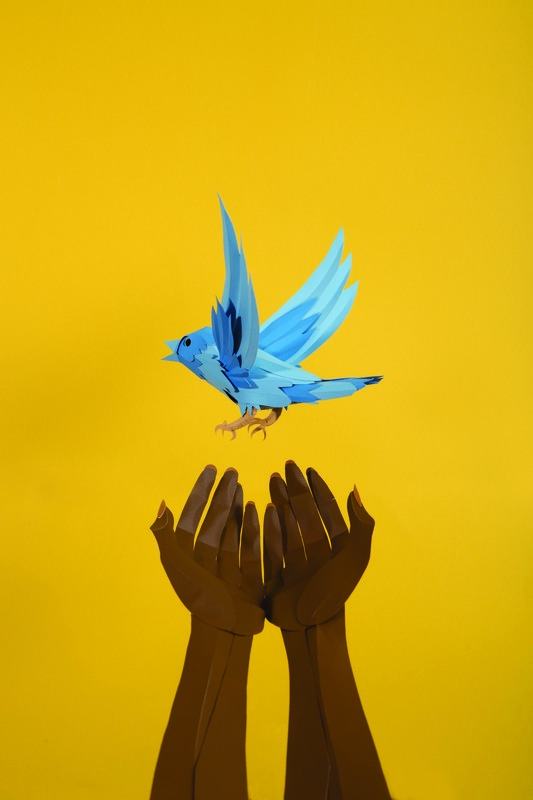 About the Artist: Andy Singleton is an Artist and illustrator who specialises in the creation of 2D and 3D paper artworks and installations. 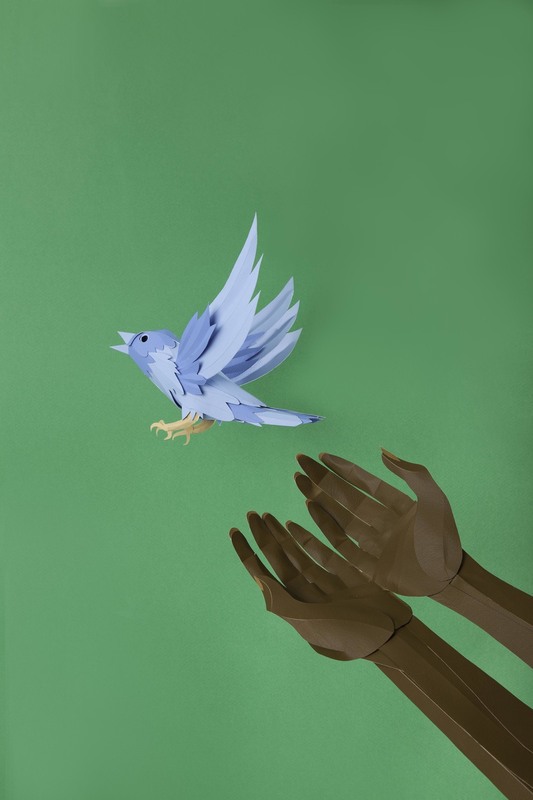 Andy has exhibited both nationally and internationally and has created work for clients including Liberty London, Kensington Palace, The Hepworth Gallery and Manchester Art Gallery. Andy has also delivered workshops at the V & A museum, the Tate Modern and West Dean College. Watch the video below to see how the piece was constructed and installed. York College Gallery is pleased to present a new exhibition by artist Andy Singleton called ‘Galaxy’. 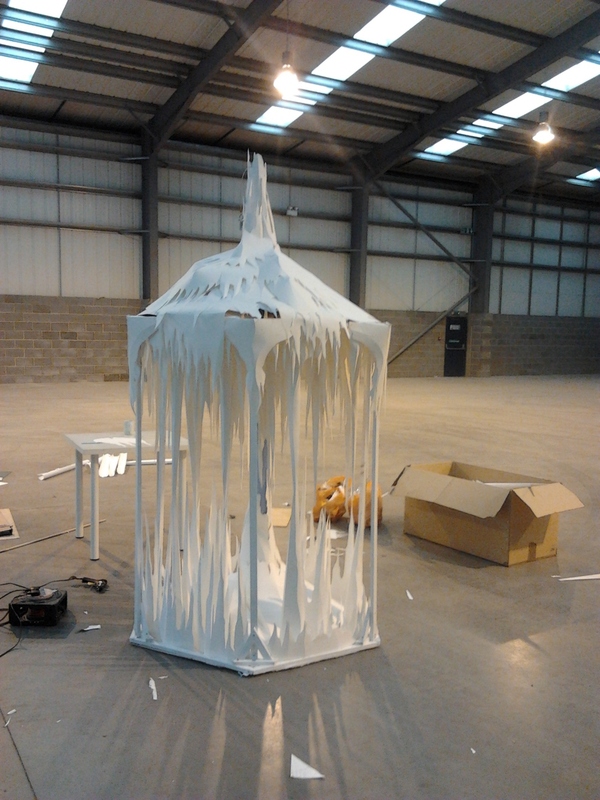 Collective installation works - Andy Singleton and year 10 art students at Ysgol Brynhyfryd, Wales. 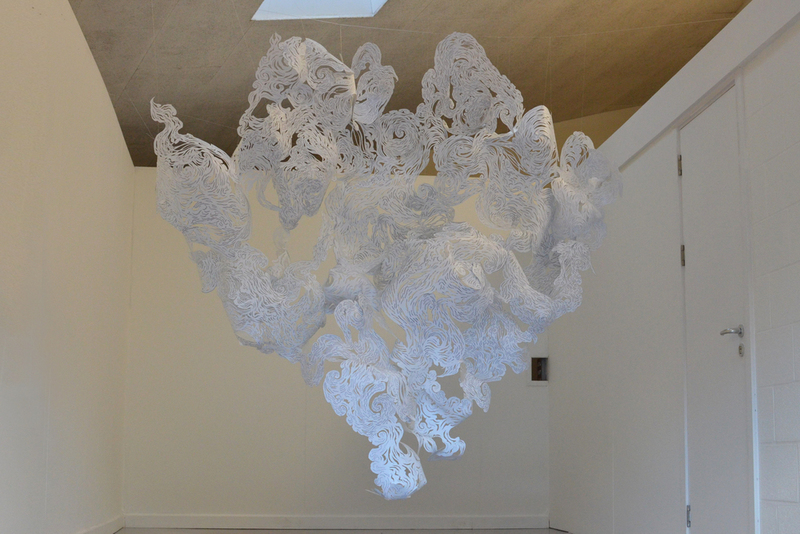 After a series of workshops at Ysgol Brynhyfryd school, Ruthin, Wales, the students had assisted me in creating a paper installation, to be displayed in the Ruthin Craft Centre. 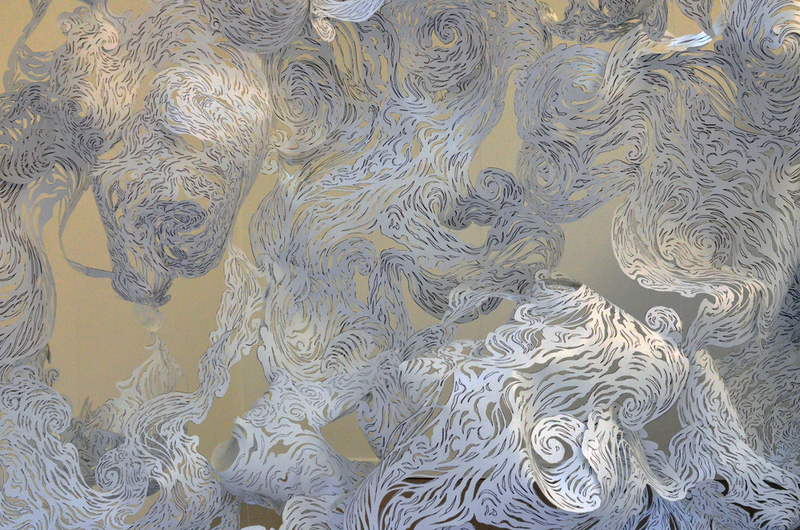 The students explored a number of paper sculpting techniques before moving onto cut out pre made templates, created form my own paper cut patterns based on nebula and dust cloud formations. 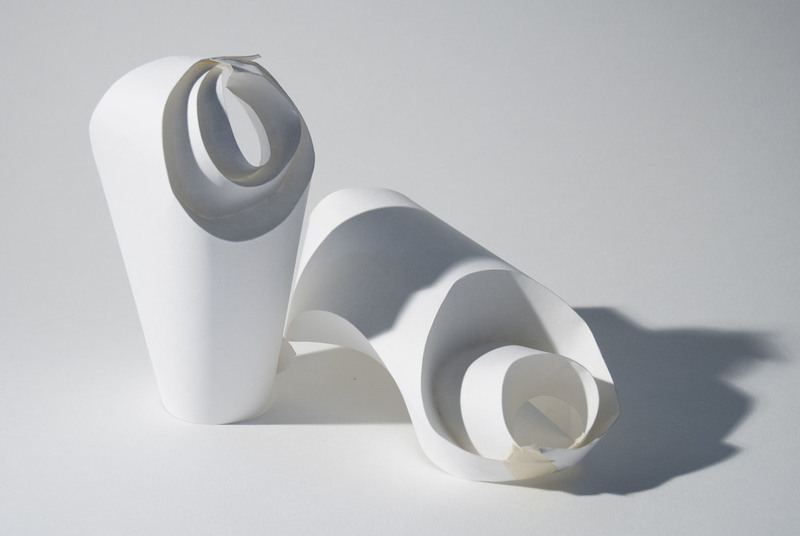 Explore the potential of paper cutting, folding and construction techniques to create your own unique sculptural forms with paper artists Richard Sweeney and Andy Singleton. With demonstrations and one-to-one help from the artists, learn the basic techniques of paper manipulation, including pattern cutting, pleating and modular form-making. An experimental approach to the material is encouraged, which will allow beginners and experienced folders alike to explore the creative potential of sculpted paper. 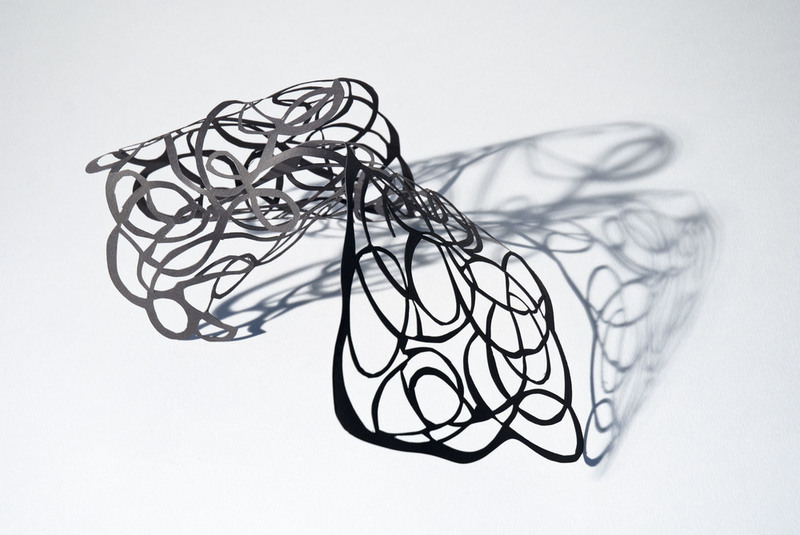 Image: The results of participants paper cutting and 3D forming exercise. Venue: Westgate Studios, 55 Westgate, Wakefield, West Yorkshire WF1 1BW. Tickets: £50. 20% Discount for students with valid ID. Places Available: To book a place, please click here to contact Richard using the contact form. 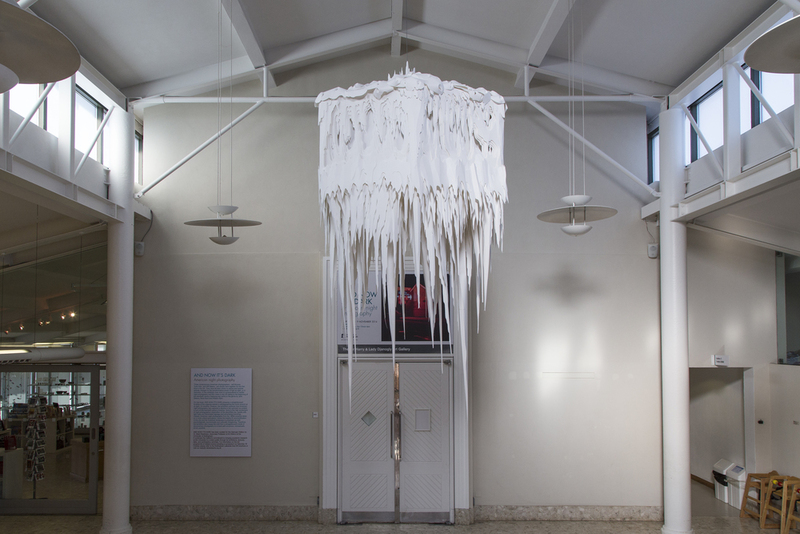 I will be installing my 'Ice Structure' Installation at SeaCity Museum, Southampton from tomorrow. The piece was commissioned by Manchester Art Gallery in 2012 and has is now being re-installed along side the First Cut exhibition at the Museum. The piece will be on show from the 26th of November until the 12th of January. The images show the process of re-construction and the installation in situ at Manchester art gallery. Special thanks to The Art House in Wakefield for providing a large space for me to work in while I rebuilt the installation. 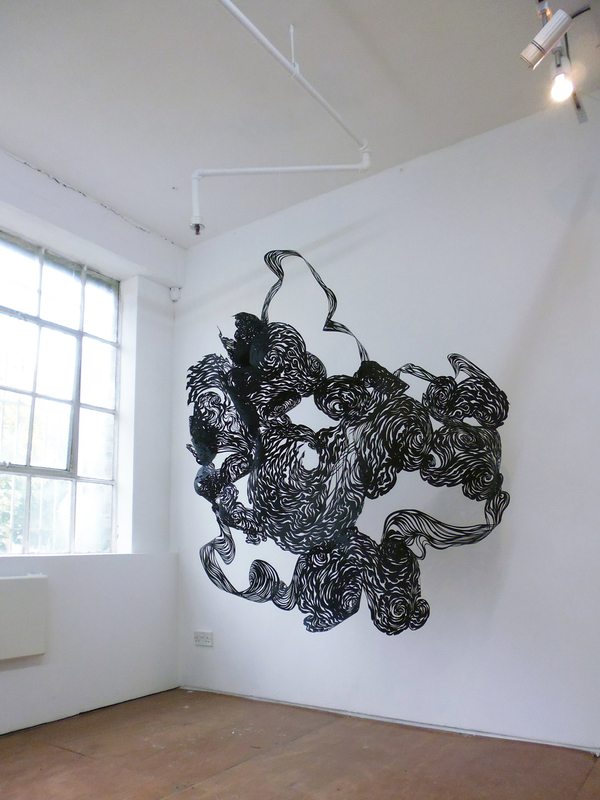 I'm currently showing new installation work 'Galaxy Cluster' at the Illustrate exhibition, Globe Gallery, Newcastle. 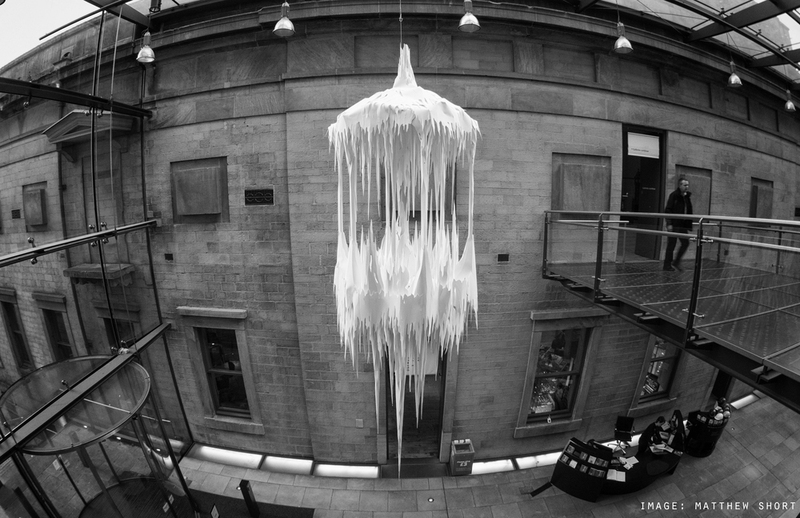 The show is part of the Northen Design Festival which runs from the 10th -20th of October. I will be showing a selection of works at the Illustrate exhibition at the Globe Gallery in Newcastle for the Northern Design Festival 2013. I will have selection of commercial and personal work on show, including a new installation piece. 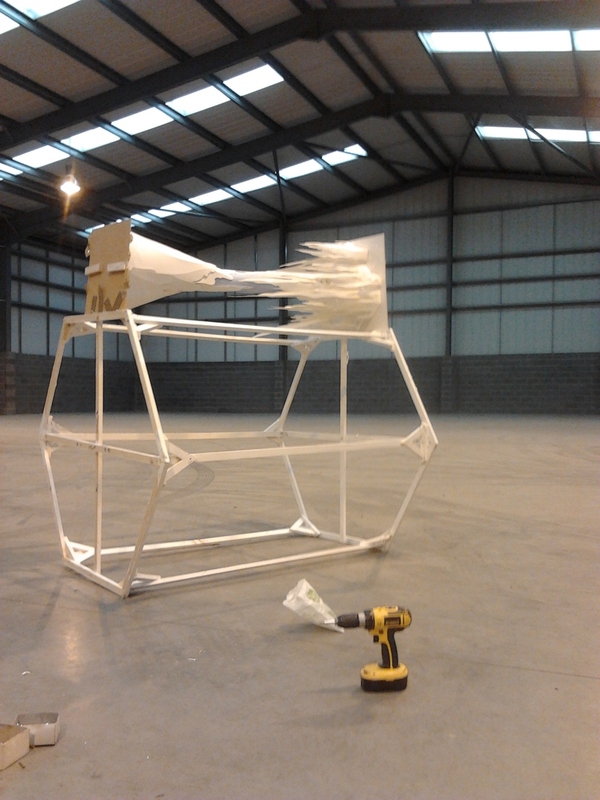 Myself and Richard Sweeney will be holding another one day paper sculpture at our studios on the 17th of August. Click on the flyer for more details. If your interested in joining us please contact me through email at: contact@andysingleton.co.uk.